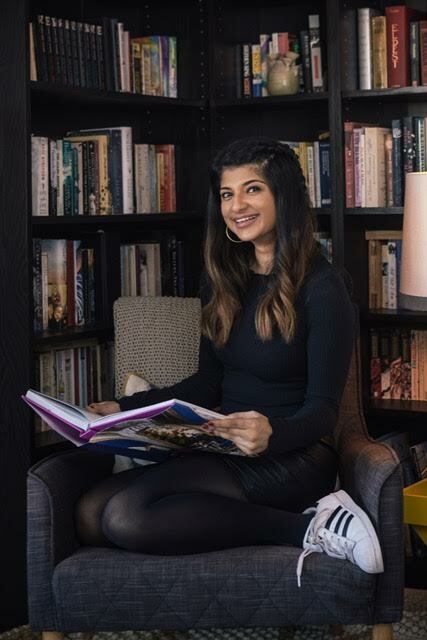 The trend for velvet home furnishings is going nowhere fast and velvet furniture which was once relegated to a bygone era is now getting a contemporary update from brands using modern colours making the plush accessory the statement of the moment. 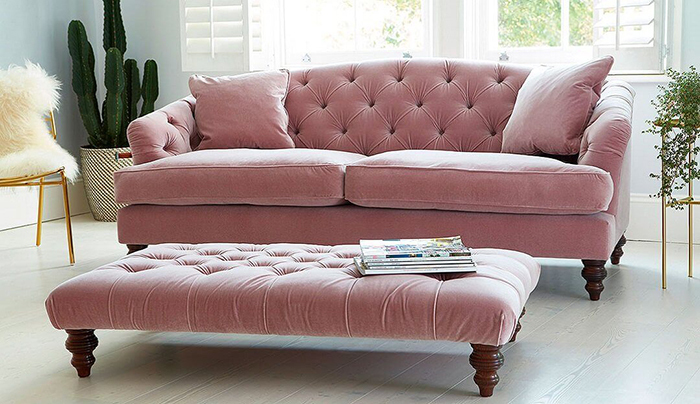 Gloriously named sofa brand Darlings of Chelsea handcraft their equally glorious velvet sofas here in the UK and are rooted in high quality traditional design (they also have a range of other beautiful modern styles). 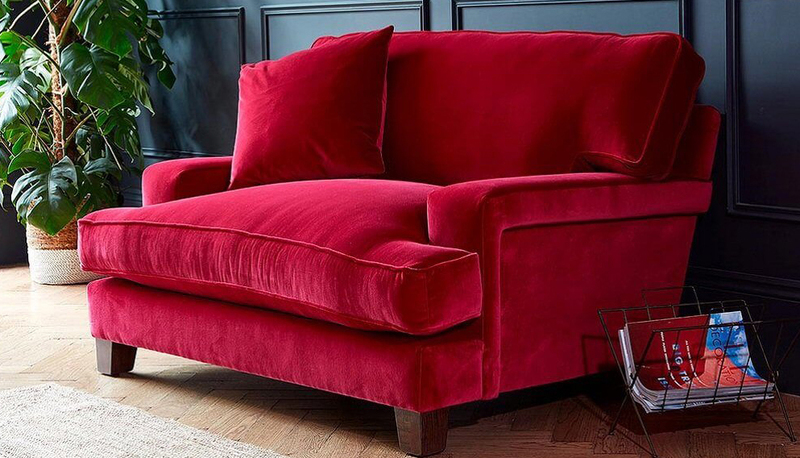 If you’re not normally adventurous with your furniture choices and you want to embrace the velvet trend a classic silhouette is a failsafe bet. Here’s my pick of five of Darling’s most covetable velvet pieces. 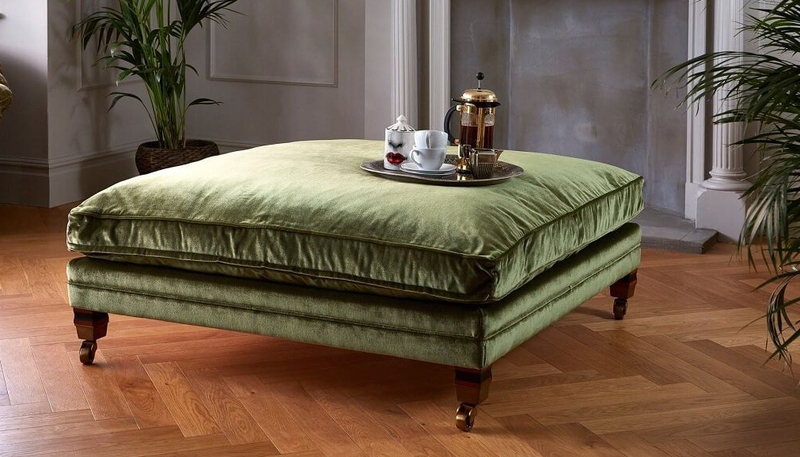 First, the sublime deep buttoned Stirling footstool in velvet teal green. I love it’s generous size and low position with richly varnished turned wood legs. 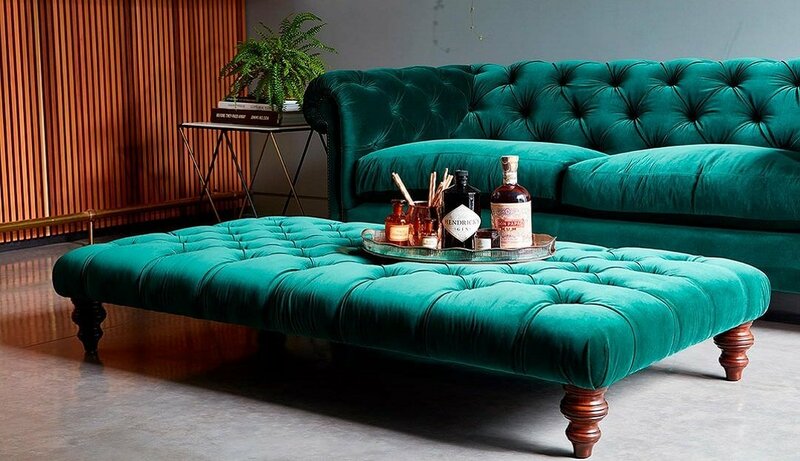 Hand crafted in Britain with a hard wood frame, and comfy feather filled upholstery, this elegant footstool is available in a range of velvet hues (but I think the teal is pretty perfect). This appropriately ruby red coloured love-seat is Valentine personified! Snug enough for two people to sit cosily and comfortable together, it’s classic silhouette balances out the punchy colour. 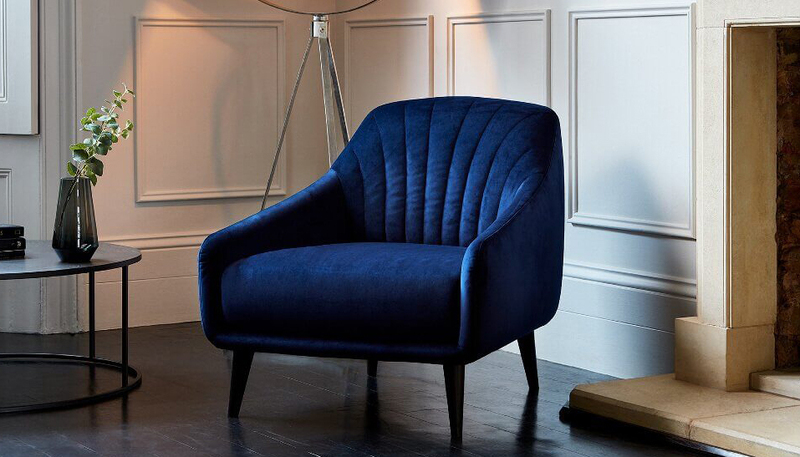 This Art Deco inspired midnight blue Savoy Chair is a subtle way to add a touch of velvet drama to your space. 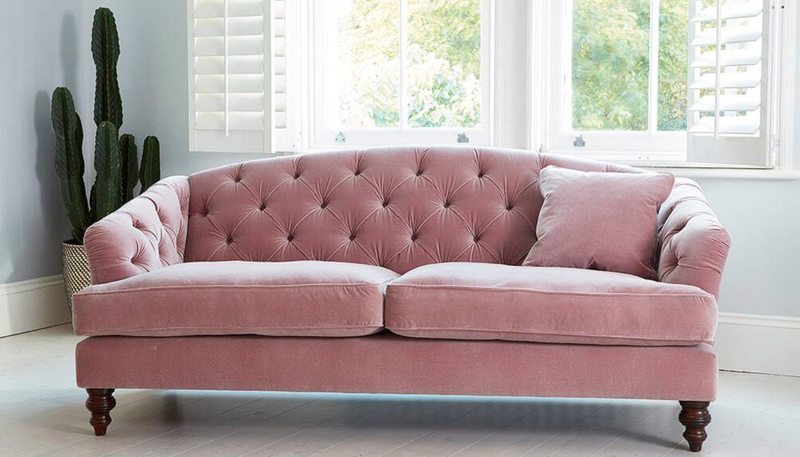 Almost as popular as the velvet trend within furniture is the demand for pink furnishings and this dreamy blush Paisley Chesterfield covers both bases. This design mixes classic button detailing with an elegant minimal silhouette and would look equally divine nestled amongst a neutral furniture scheme as well as an eclectic interior. Finally this sumptuous olive green Trafalgar Footstool is a beautifully subtle way to add texture and interest in a low-key fashion. This post was in collaboration with Darlings of Chelsea. Fabulous…can’t decide which one is my favourite but think I will go with the Savoy, such a wonderful blue! Thank you for sharing!